This easy-to-carry Ukulele Gig Bag from Road Runner has a tough, black exterior made from 600 Denier polyester, making it water-, stain- and stretch-resistant. It's lined using a generous foam interior and includes heavy-duty zippers and a roomy front accessory pocket. 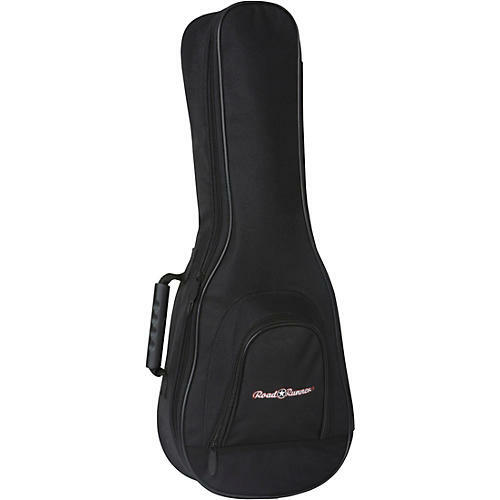 You can carry your instrument using the bag' rubber handle, contoured for comfort or use the adjustable, detachable carrying strap, which can be configured to carry your bag like a backpack like a standard bag or case. A rubber grip on the bag' base adds another layer of stability and protection around the bottom of your instrument. Choose from concert, tenor or soprano ukulele.